Country Club Gardens is a historically located New Orleans neighborhood. 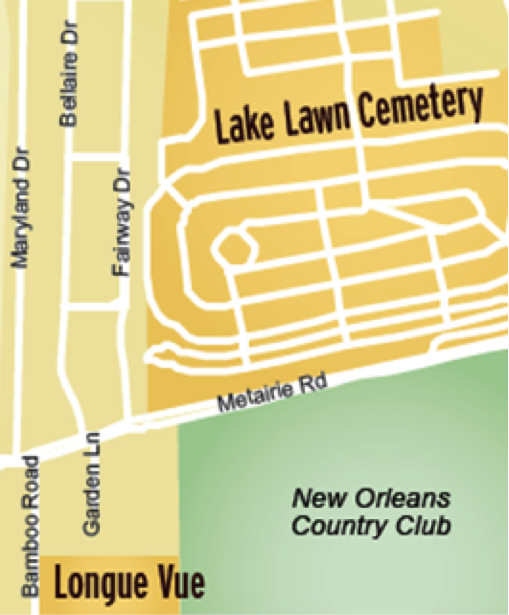 Country Club Gardens (CCG) is a historically located neighborhood comprised of residential streets, Lakelawn/Metairie Cemeteries, New Orleans Country Club, and Longue Vue Gardens. The mission of CCGA is to protect and preserve the quality of life and property values within our neighborhood. CCGA is bringing on a new patrol service August 1st, 2014. An October 5th, 1924 article in the Times-Picayune featured Country Club Gardens, calling it "just a better place to live ... in delightful Metairie Ridge."